Educational curricula at the University are inter-disciplinary in nature, aiming at providing a rich and diverse knowledge base for students. The university academic year is divided into three semesters. The first semester is from August to December, the second semester from January and to May, and the summer semester from June to July. TheUniversity offers both undergraduate and graduate educational programs leading to the obtainment of Bachelor, Master and Doctoral degrees. 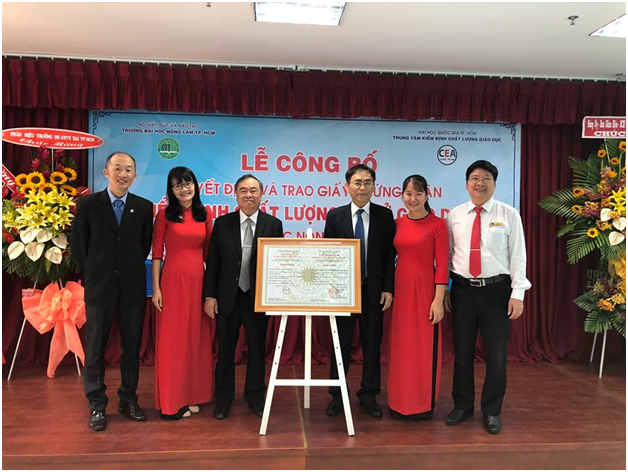 Following the trend of integration and self-reliance, from the 2008-2009 school year, Nong Lam University Ho Chi Minh City decided to transfer education system from yearly system to credit system. Up to now, there have been 10 enrollment batchs, of which 6 batchs have graduated and a large number of graduates have graduated before the deadline regulated in the curriculum framework. The formal university entrance examination, training and academic regulations, and set of output standards have been changed and adjusted to a more positive and perfect direction. In order to adjust and improve the training program, Nong Lam University Ho Chi Minh City organized the conference "Solutions to improve the quality of education and training in the context of integration and self-control" on the 10 years of training milestone under the credit system to propose solutions to continue improving the quality of education and training in the context of integration and autonomy."